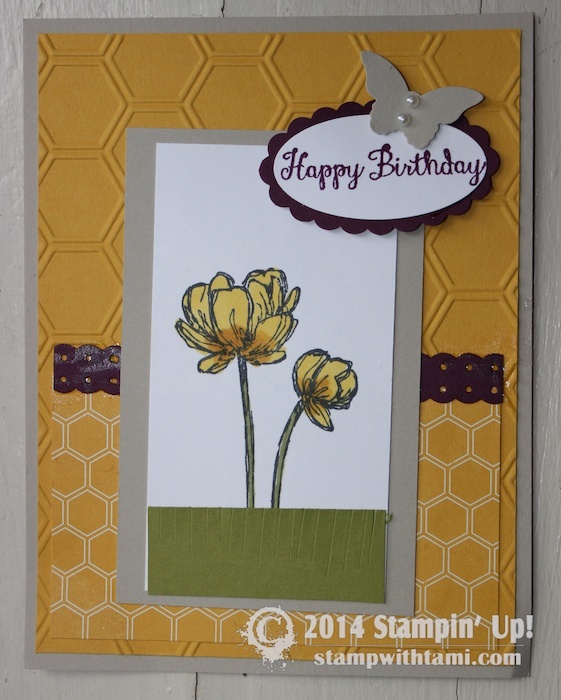 Today’s card is simply gorgeous, created with the new Bloom with Hope stamp set from the 2014-15 Stampin Up Catalog. This set you can only get free when you hostess a workshop, book party, stamp club hostess or simply place an order over $150 (can combine with others). Created by Siara Acdal. Be sure to visit my Facebook Page for up to the minute news from Stampin Up Convention. Love the EF you used and the sweet DSP…love this new Hostess set – had to place a big order to get it…LOL!!! Very pretty creation!